Emerging into the dark crisp air from our 7 hour Oslo – Bergen epic train journey was exciting. It always is when we arrive somewhere new. We had travelled east to west from the largest city to it’s second largest where there is a supposedly milder climate due to the Gulf Stream. The difference in temperature to Oslo can be as much as 30 degrees. We shall see. We were just ready to explore and had the coats, hats and gloves ready just in case. This was the furthest north we had ever been! 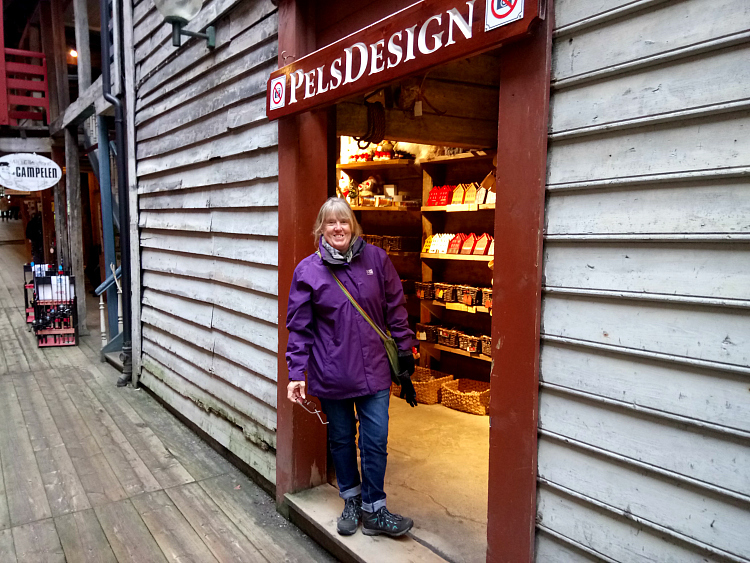 Our visit to the west coast of Norway had begun. 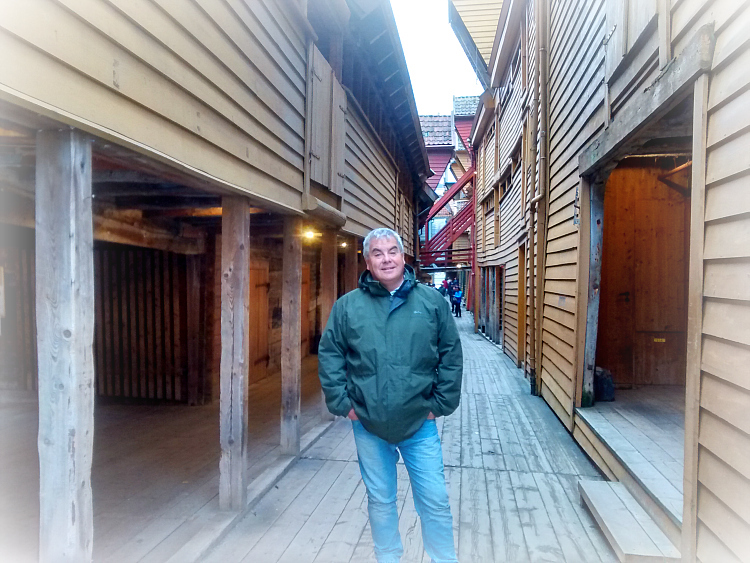 A trading settlement since around 1030 but officially founded around 1070 and named Bjørgvin, the green meadow among the mountains, was originally Norway’s capital. 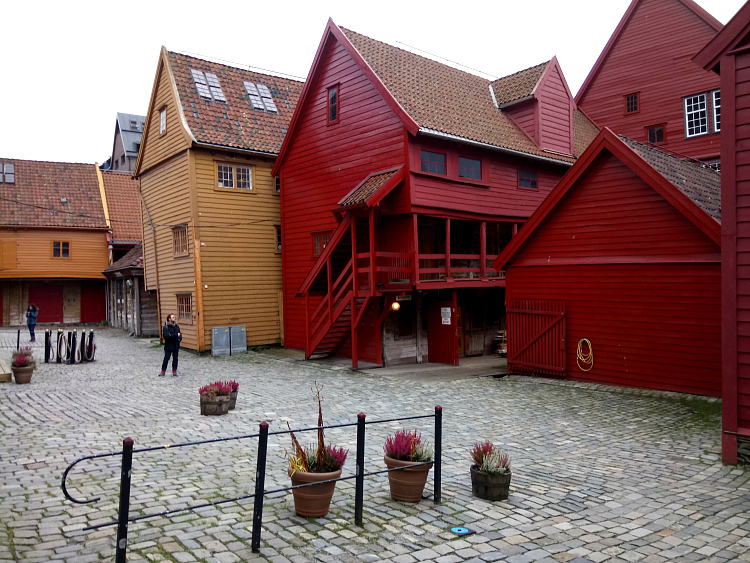 This status was based on trade because up until the late 1700s Bergen had exclusive rights to trade abroad. The main export was dried cod. 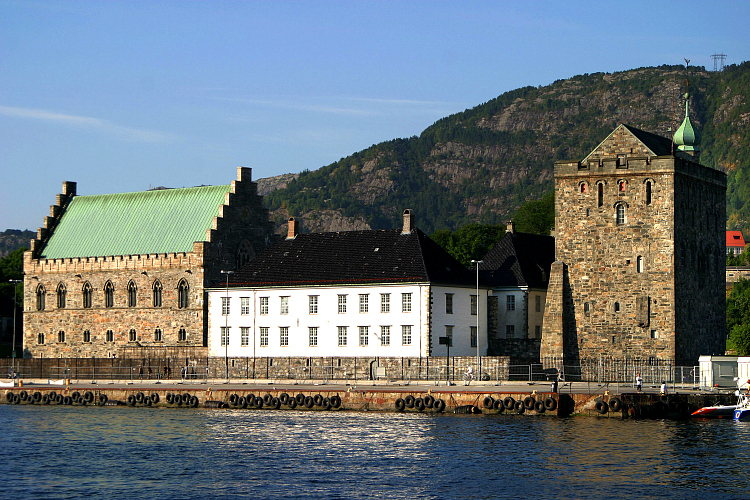 An unwanted import was the Black Death, brought to Bergen by the crew of an English ship. Sorry about that! Being the gateway to the Fjords, nowadays the ships mostly arrive with tourists with over 300 cruise ships bringing around half a million passengers to Bergen every year. A ten minute walk found us outside our accommodation. Being smart planners and very conscious of prices to eat out, we had decided that an apartment where we could cook would be the best option. I kept thinking we had booked the Old Bull Apartments (as in the the Old Bull and Bush!) but I was soon to discover that Ole Bull was a famous Norwegian violinist and composer. Allegedly on a par with Paganini so how wrong was I? We settled into our 4th floor standard studio which had everything we needed. A quick shopping trip for supplies for dinner, lots of deep breathing to recover from the the cost and we tucked into our spaghetti carbonara. It was only after eating that we realised that the extractor fan over the hob was still whirling away. No problem – it probably had a timer and would die down eventually. Half an hour later it was still chugging away. We did a bit of investigation to see if we could isolate the power but no luck so it was time to head for the reception. I explained the situation and also pointed out that because it was a studio the bed was within earshot of the fan and we were unlikely to be able to sleep. Nothing was too much trouble and she quickly handed over keys to what she called one of their penthouse apartments. We weren’t too sure what to expect but decided whatever it was it would be better than sleeping in a wind tunnel. We packed up everything thinking, “What a pain! Is this worth it?” and headed for the 7th floor. Well, it was great. 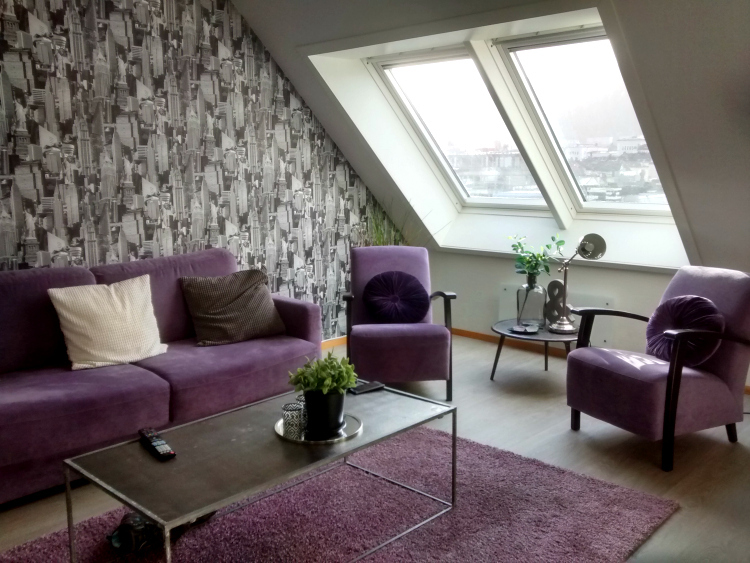 Obviously recently refurbished, this one bedroom apartment had great views. One side was the city and the other was of the funicular railway lit up against the night sky. 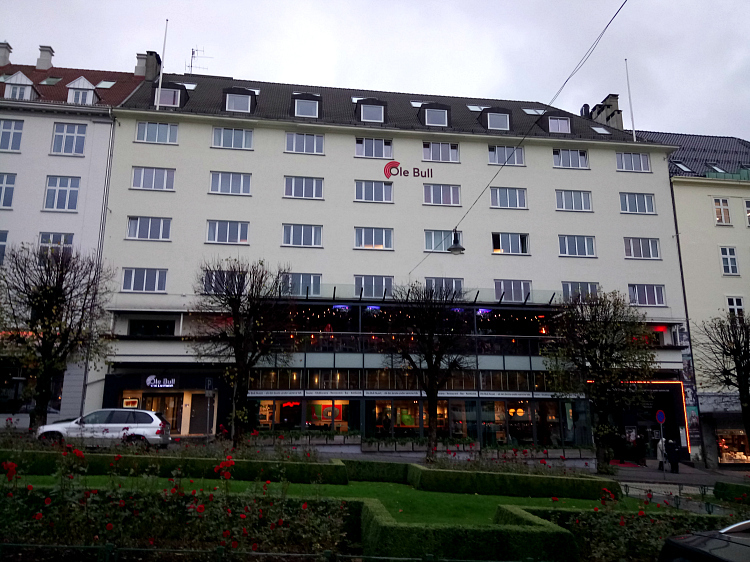 In fact, nervousness got the better of us and I had to head back down to check if we had the apartment for our whole stay and whether we had to pay extra. Answers were yes for the whole stay and no to extra. Result. Our first outing was to this historic dock area that is now an UNESCO World Cultural Heritage Site. 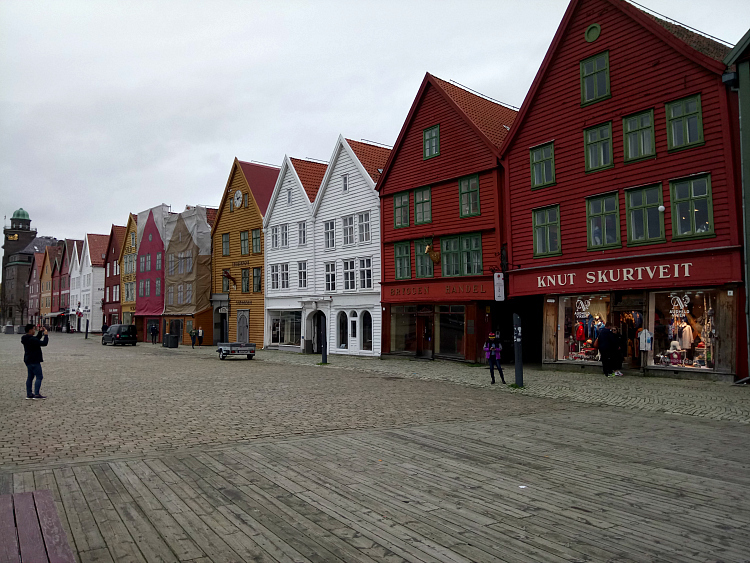 It was originally the centre of commerce in Norway and today the preserved buildings house museums, shops, restaurants and pubs. We imagined it could get very busy with tourists but today we had it more or less to ourselves. Some shops were obviously closed now that the height of the season had passed but there was one shop that caught our eye full of all things reindeer. Skins, horns, plates, cups and everything you could imagine made from reindeer horns. The owner was serving an Asian family who were interested in buying a reindeer skin – I suppose as a rug or wall hanging. The owner was letting him look through them to choose while we asked a few questions about his shop. Then we distinctly heard the Asian gentleman say “Money is no object“. The perfect customer! So quite rightly the owner turned his attention to where the cash was. 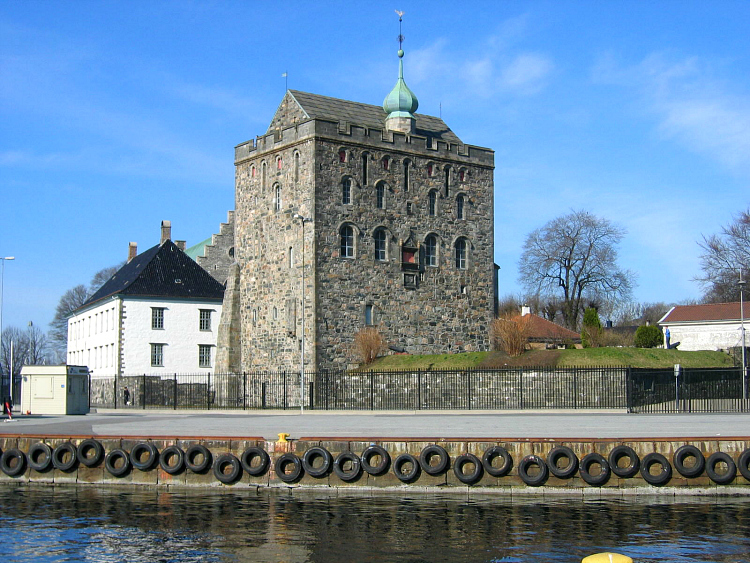 We walked further on around the harbour and came to this fortress which has two distinctive buildings. The Rosenkranz Tower – this was a residence, fortified tower and later the dungeon was a notorious prison and is named after one of the early governor’s of the fortress. It is open to the public but was currently having some restoration work so I have had to pinch a photo this time. 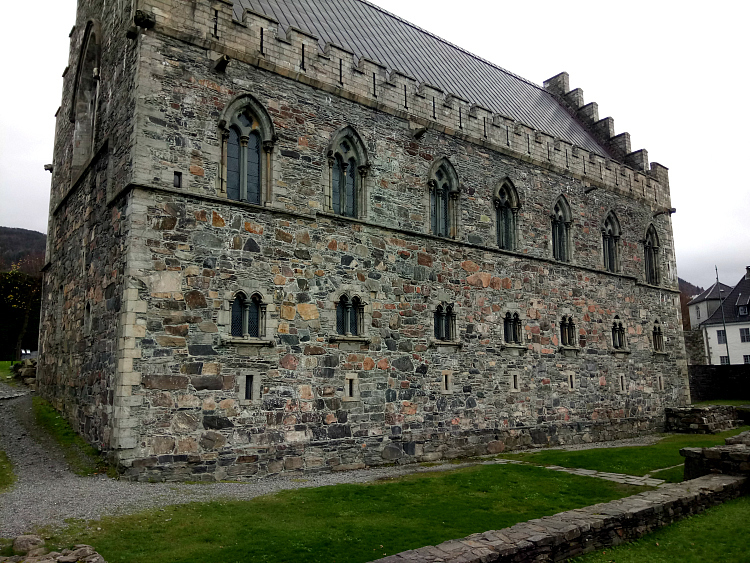 Haakon’s Hall – This impressive building was named after Håkon Håkonsson a thirteenth century Norwegian King. 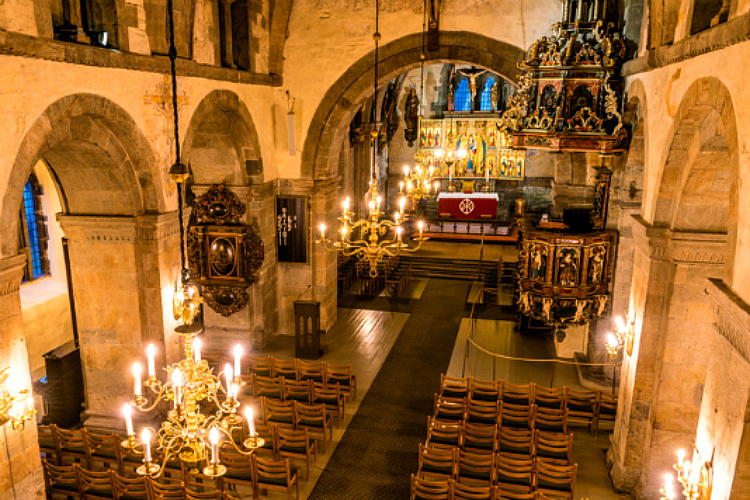 The King’s son Magnus was married a Danish Princess here in 1261 and over 2000 guests banqueted here. It didn’t really seem big enough so it must have been a cosy seating plan. 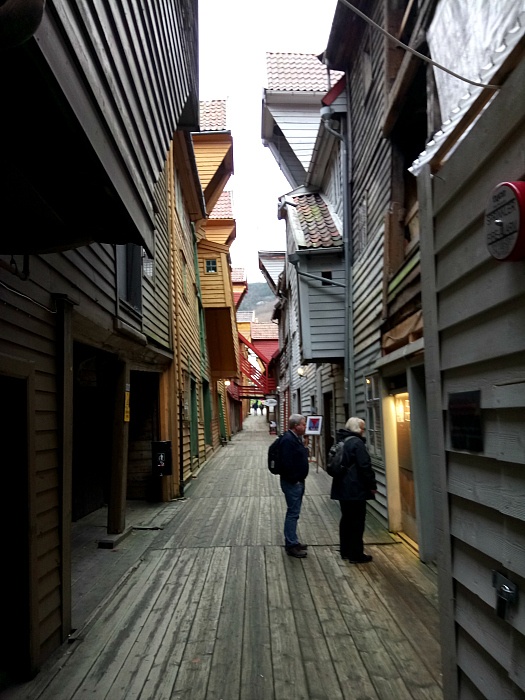 We continued to explore the harbour and the surrounding area and stumbled across the oldest building in Bergen. 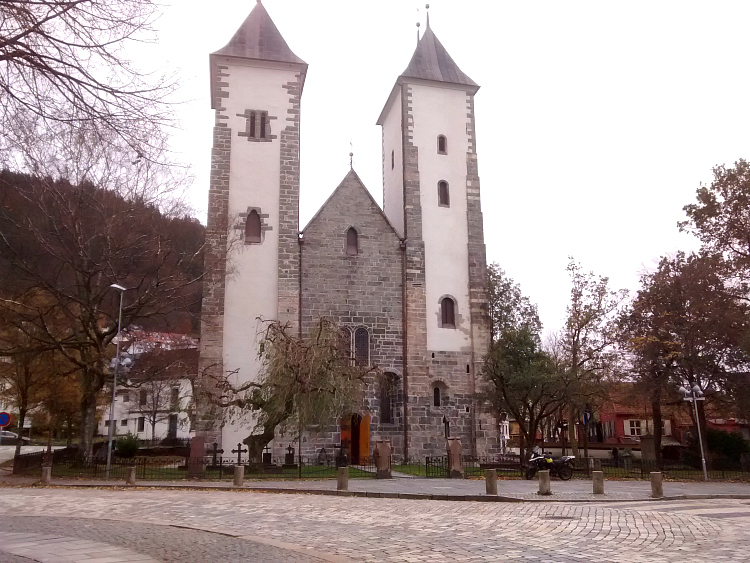 St Mary’s Church was completed around 1180. Many fires over the years have seen reconstructions and renovations but considering all that it looks in good shape. With our exploring over the the day and a gorgeous penthouse waiting for us, we headed back. That was until I was lured into a shop. During our travels I have picked up a few travelling companions. My bears. I don’t do this religiously but if I see a bear that needs a home in the right place at the right time I spend our precious budget on one. Strangely they have all been gathered from locations that begin with a “B”. 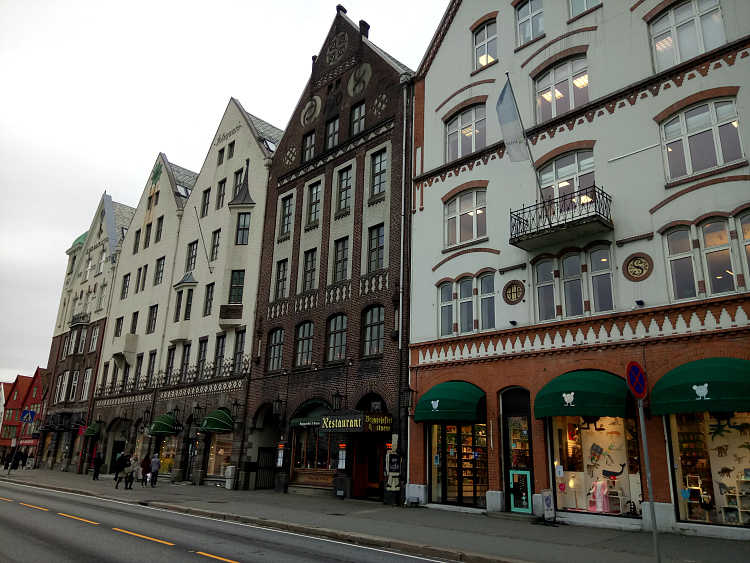 We have Brumby (Scunthorpe, England), Bay (Bay of Islands, New Zealand), Buff (Banbridge, Northern Ireland), Banff (Canada) and now I have Bergen. I have to admit that I have broken with tradition. 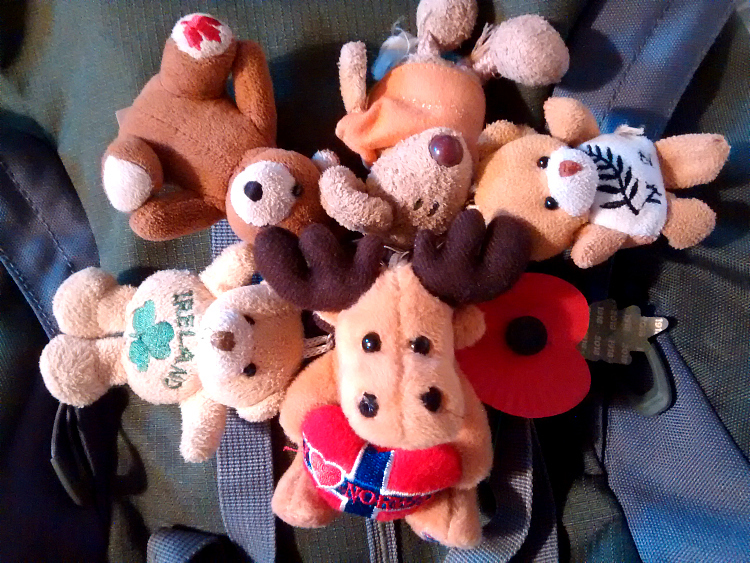 He is a reindeer or maybe an elk not a bear but he has joined the gang and hangs around with the other guys on my backpack. Previous Is the Bergen Railway the Worlds Greatest Train Journey? Nice writing, Bergen hike to upper Lake is fun. 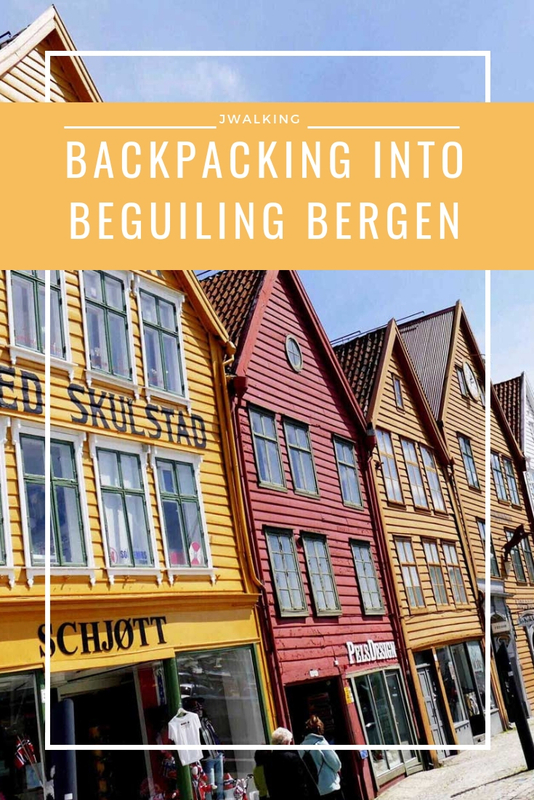 Second Bergen blog post currently being drafted. Watch this space! I just love those wooden houses, they are fabulous! We loved exploring around them. There is also a museum all about them but it was closed for the winter season. Shame. They make a great harbour front vista. Hope the photos do them justice. Got to love an upgrade. Makes a nice change to get the customer service without having to battle for it! Quirky looking place. The architecture looks very traditional. Was Jon not tempted by a fetching reindeer hat? No to the hat! I love him to bits but there is a limit!